Philippines Defense Secretary Delfin Lorenzana reminded of the offered credit line on the sidelines of the Belt and Road Forum in Beijing. He is there to sign a letter of intent with Chinese state-owned arms company Poly Technologies. “We are not saying that we will buy from them or we will not buy from them, but if we need anything from the Chinese defense industry, we are going to procure using the loan that they are going to offer to us,” he said. China offered the $500 million loan and donated $14 million worth of small arms and speed boats to the Philippines in December. Lorenzana said his country would use the offered loan if its military budget is insufficient for a planned modernization. The Philippines plan to spend some $2 billion over five years on defense purposes. The Philippines is a former US colony and a defense ally of Washington. Since 1950, about three quarters of its arms imports have come from America, according to the Stockholm International Peace Research Institute. However, President Rodrigo Duterte has been making statements since his election last year, saying he wants to distance the Philippines militarily from the US and compensate by turning to China and Russia instead. Talking to journalists in China, Lorenzana said acquiring weapons and equipment from the United States has become difficult. He said the process of approving arms contracts with American suppliers is slow and that there are conditions tied to sales. 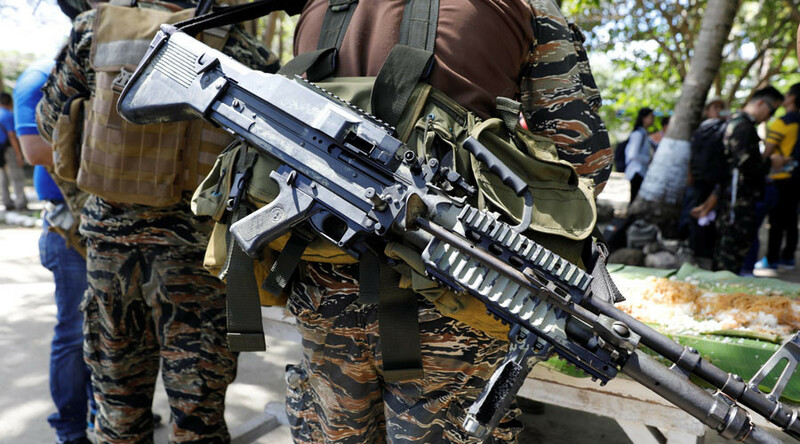 Arms trade with US may be complicated by concerns in the US over the weapons ending up used in Duterte’s controversial War on Drugs. Critics accuse Manila of extrajudicial killings of thousands of people suspected of involvement in drug trade. Poly Technologies is one of four Chines companies which the US accused in 2013 of proliferation of weapons of mass destruction. The company denied any wrongdoing, saying it neither sold band weapons nor violated any UN Security Council resolutions.